Fabulous Beauty Emily asked me to provide a blog post this month, in lieu of my sister Megan, who is literally gallivanting across Africa at the moment. I had initially thought to try something a bit different - like Amber did in using cocoa in chili, which looks fantastic BTW - but decided to attempt a more traditional recipe. When I was in college, I wasn't able to get home to my parents in Nebraska, and so started a new tradition - going to my Aunt Donna and Uncle Smitty's. While my grandmother was still alive, I would pick her up, and we would road trip together. We would usually spend our few days together - in additional to eating, drinking and visiting by the fire - baking all kinds of Christmas goodies. We would send them off to friends and family, and had a great time experimenting with different cookies and candies. While we don't do that exact same thing anymore, we do usually try to get together and at least eat, visit - and bake! This year we had Thanksgiving at my house, and ended up with about 10 different cookies and candies. 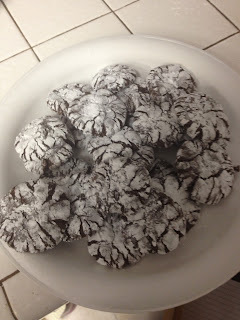 My contribution was a cookie we hadn't tried before - its called a Mocha Crinkle. 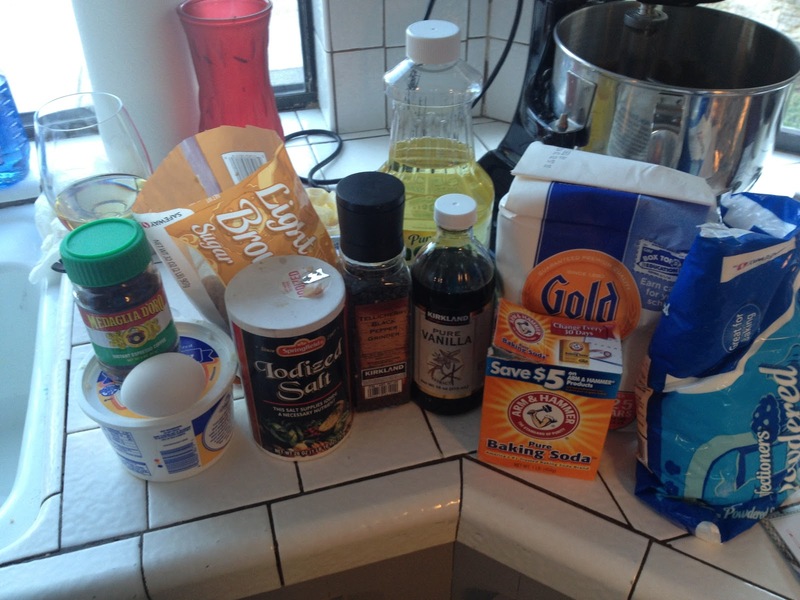 In a medium bowl, beat the brown sugar and oil. Add the sour cream, vanilla, and egg. Add the flour mixture to the brown sugar mixture. Mix well, and refrigerator for 3 - 4 hours (I didn't have 3-4 hours, so I used the freezer, which worked just as well). Note: The dough will be really wet and sticky, but don't be concerned. Preheat the oven to 350. 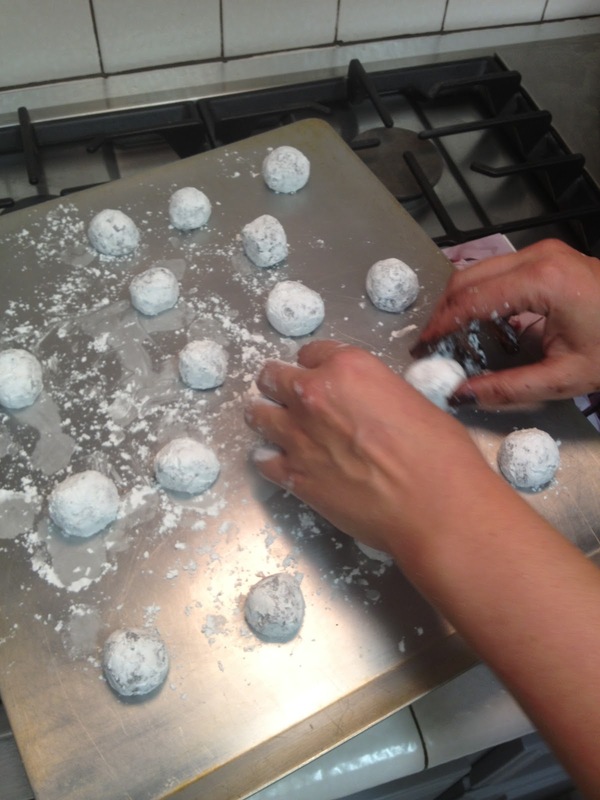 Place powdered sugar in a shallow container. Set aside. In about 1 inch pieces, roll the dough into balls. Coat in powdered sugar. Rolled in powdered sugar, ready to be baked! Bake on ungreased cookie sheets 10 to 12 minutes or until the tops of cookies are firm to the touch. Do not over bake. Baked cookies - aren't they pretty? 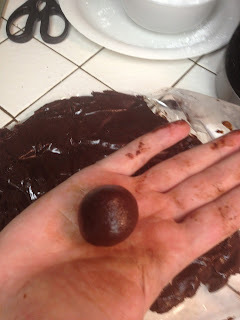 It is a great cookie - it looks really pretty and it is super easy. Make enough to share. Hope you enjoy them! They are pretty! I want one. Nice job Nancy! This is going to be the first Christmas cookie I bake this year! So pretty and they sound delicious! Those look gorgeous! Nancy!!! wow. Do they taste good? I'm a bit nervous about the black pepper part. 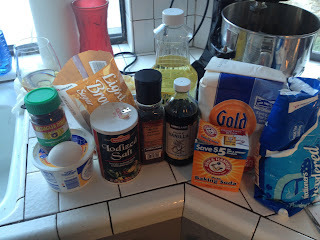 :) Thanks for the guest post, I'm going to try these! They taste great. The pepper is such a small amount, you won't even know it is there! I hate to admit it, I ate every single one of these we brought home, with the idea to share. ;) I may make another batch myself this weekend.